Hailey and Jared are best friends who have gone on several exciting adventures. Originally a series I have put five more of their fun but scary short stories together for Book #2. 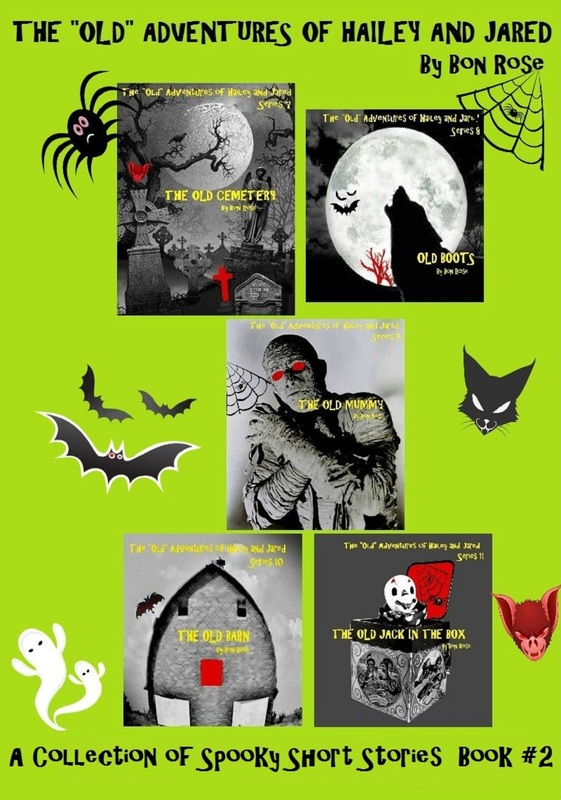 Each story has suspenseful adventures that always end with a twist! Even though Hailey is a girl, you’d have to call her a tomboy as she loves adventures with her best friend Jared, and has no problem getting in and out of spooky situations! She, Jared and her beloved bike Blue manage to keep their lives pretty exciting and sometimes they are not sure whether it’s ghosts or just their imagination. You’ll just have to decide which one it ends up being! “I’m a huge fan of Bon Rose, and I’ve read just about everything that I’ve found of hers. With that said, I was thrilled to find that she put several of her stories in one collection. My boys now have their favorite author at their fingertips, all in one convenient place. She has two collections so far, and of course they’re still available in the single short stories. I’m so glad that I found her work, and my boys will enjoy her stories for many years to come.